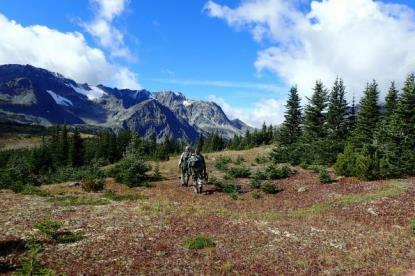 Owned and operated by brothers Jack and Lloyd Hooper, Babine Guide Outfitters has been a successful family run guide outfitting business for over 30 years. With nearly 4000 square miles of hunting territory we are able to offer a variety of hunting packages for a wide range of animals including moose, black bear, mountain goat, and more. Based from our main lodge on Babine Lake, British Columbia we have an extremely high success rate which keeps our clients coming back again and again! All animals taken with us are properly skinned, salted and prepared to take to the taxidermist. Meat from the animals is taken to the main lodge and stored in our meat locker until taken to town for cutting and wrapping or taken home with the client. We take great pride in making sure all clients and their trophies are well taken care of. Come join us, Jack and Lloyd, along with our families, for the hunt of a lifetime! Book your hunt now, you'll be glad you did!